Students gather at the grassy area of the academic mall listening to a member of band play the saxophone. 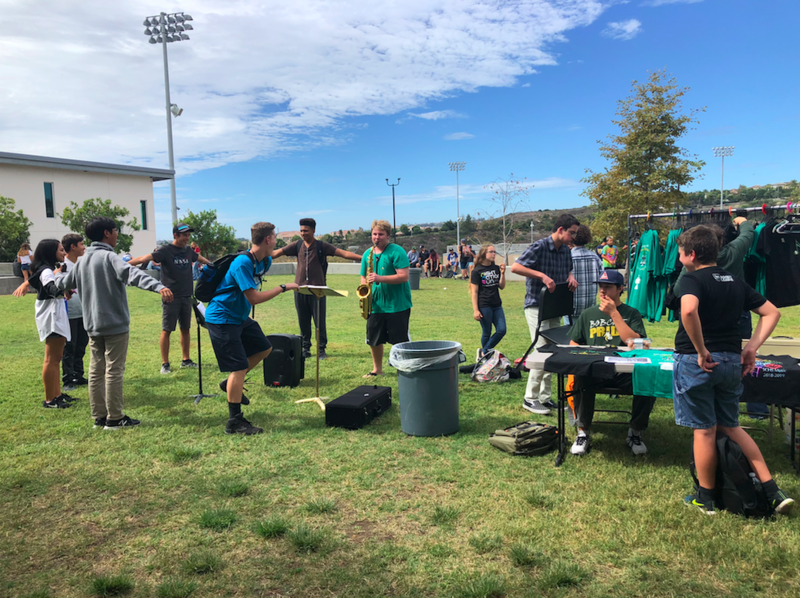 The first ever Music Monday was held on Oct. 1 with the purpose of getting more students involved in the musical programs at Sage Creek. Students gather throughout the academic mall this past Wednesday, Oct. 3 to get a glimpse at the extensive variation of clubs offered during the annual Club Rush event. As of last year, Sage Creek has over 60 clubs that the student body can become involved in. 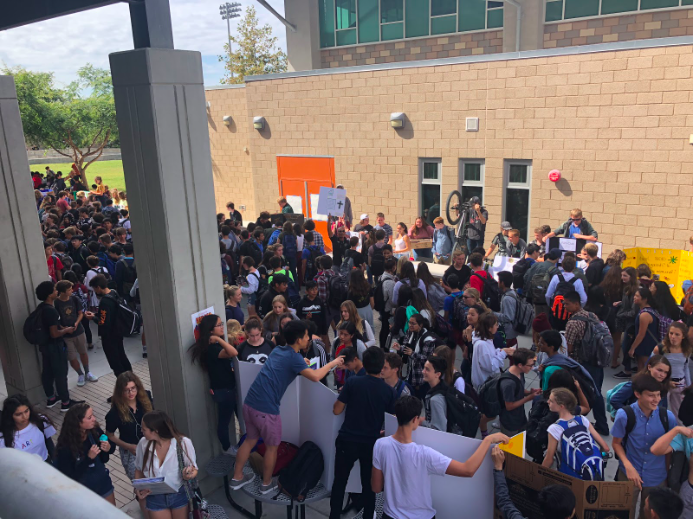 Students stand in unity to fight against hate speech and show their support for the equal treatment of the student body. 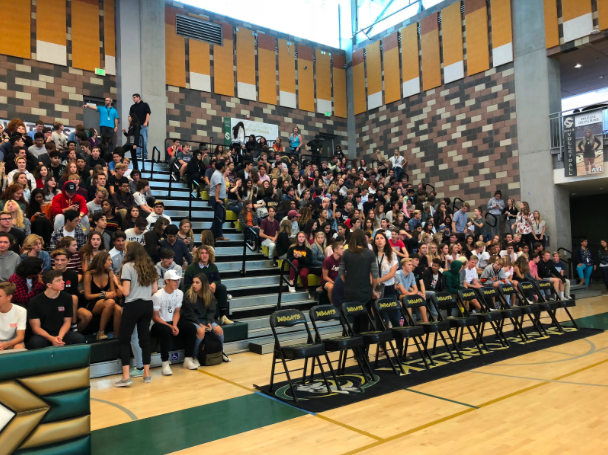 The last minute assembly organized by principal Céasar Morales took place this past Thursday, Oct. 4 during third period. 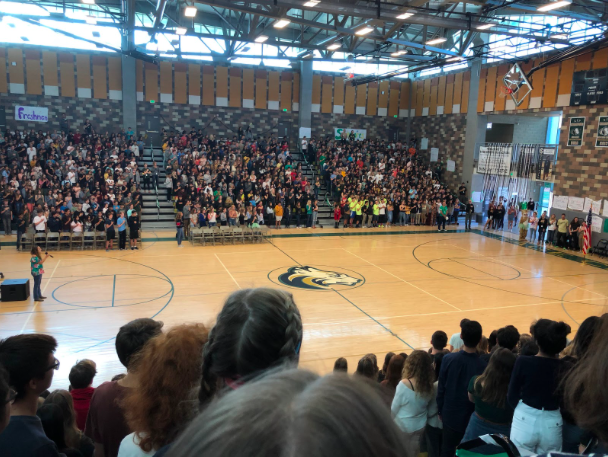 The senior class positions themselves inside of the gym following the impromteu announcement by principal Céasar Morales gathering the entirety of the student body and faculty members for a last minute assembly. 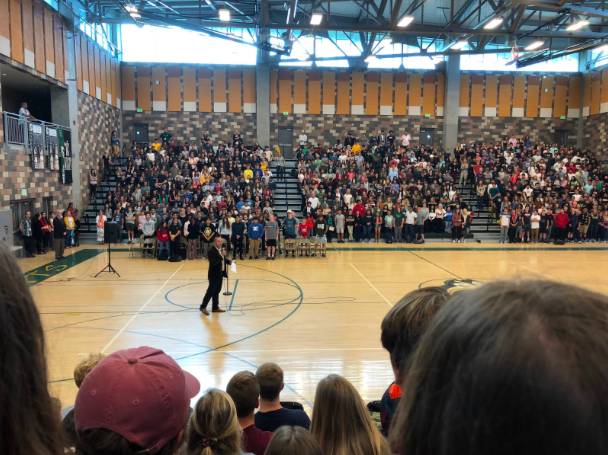 The assembly discussed sensitive topics including hate speech and discriminatory actions while reenforcing Sage Creek’s core values (B.E.S.T.C.C.A.T.S.) to all of those on campus. Students stand as junior Priya Richard sings a beautiful rendition of the national anthem. 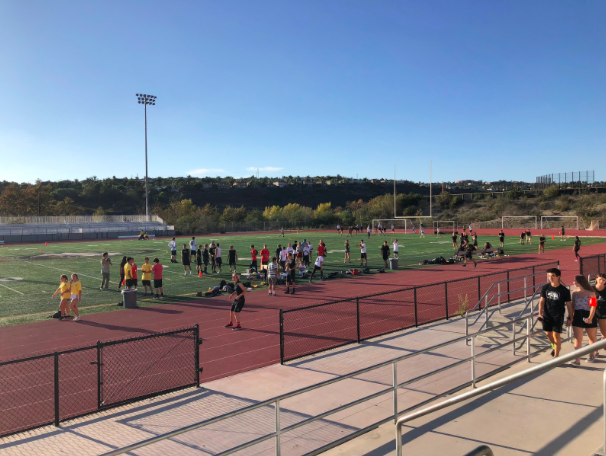 The first pep rally of the year for the flag football tournament took place this past Friday, Oct. 5. 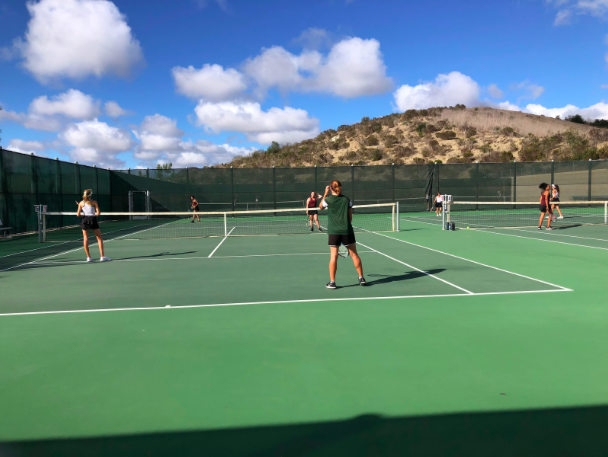 Members of the girls tennis team on court competing against Rancho Buena Vista High School. 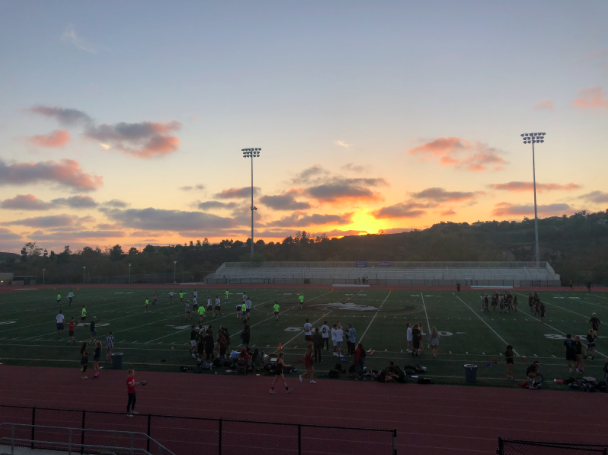 Their game against RBV took place this past Thursday, Oct. 4. The impromteu Friday dance parties continue! 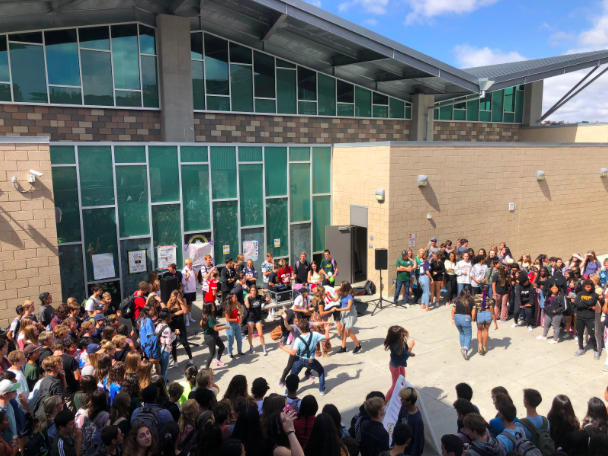 As ASB plays music every Friday during lunch, this is the second week in which Sage Creek students have rallied together creating a dance circle throughout the duration of the lunch period. As the night continues, the student teams battle it out to see who will get to face off, “The Detention Room” in the final game of the night. In the end, “The White Mamba’s” respectfully lost to, “The Detention Room,” making the staff’s team win this year’s annual flag football tournament for the first year ever. 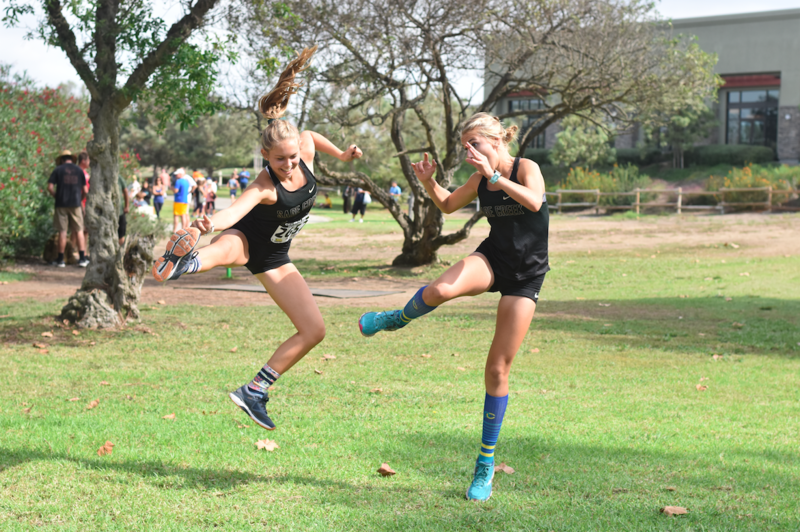 Juniors Addie Ebbs and Natalie Huestis jumping for joy for the varsity cross country girls win at the Central Park Invitational this past Saturday, Oct. 6. The team continues to be in high spirits with their continual success throughout this season.